eBay couriers and transport companies. Driving down the cost of delivering your eBay items. All you need is the item number and delivery address. Get the eBay item number and we'll get the details for you. Only takes 60 seconds to list. 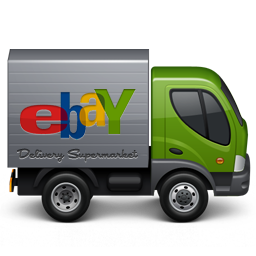 Select an eBay courier based on price, time and rating. DS: Helping eBay buyers and sellers get the best price by matching them up with couriers and other delivery services going there anyway. © Delivery Supermarket V2 - generated in 0.2907 seconds.